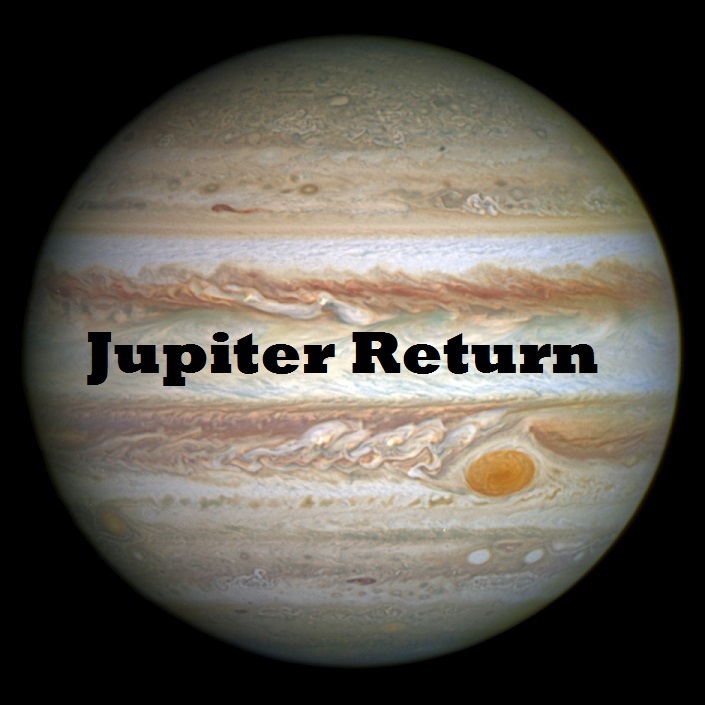 Transiting Jupiter has a cycle of 12 years when it returns to its natal position in our Astrology chart. Each planet has a return cycle and you can draw up a chart for that particular moment in time when each planet comes back to its original position. You would read this type of chart similar to that of a natal chart but would think specifically in terms of the energies of the specific planet involved. You can delineate the Jupiter return every twelve years (approximately) by looking into the planet’s placement in the birth chart and then correlate it (now in transit) exactly to the same degree and minute to the time in the birth chart. The house position will be the area of life that will bring opportunities, hope, good luck and expansion. Jupiter brings with it an optimistic approach to the areas of life dictated by the house position. This will be an area of growth and expansion. The opportunities for a growth in finances are increased, as well as potential good fortune in personal ways and in the occupation. Once again, this is all reflective of the house position of Jupiter as well as the aspects Jupiter makes within the birth chart and also the transits it will be receiving during the return period. Jupiter nearly always promotes growth in some fashion or another; the only catch might be if it is in aspect to Saturn. Jupiter pushes for expansion, optimism and good luck, while Saturn pushes for structure and discipline. Saturn is often associated with lessons, delays and shortfalls especially if not enough preparation has been carried out. There can be expansion problems especially if Jupiter is found in the first house, as weight gain is possible. Over-optimism and grand expectations can sometimes lead to less than expected results. Make sure you also have a look at the house Jupiter rules in the birth chart. The house with Sagittarius on the cusp will also promote all the things that Jupiter offers. It is important that you use the energies positively during this cycle as this does not happen often and the general feeling of good fortune can make you sit idle and do nothing with the energies at hand. Use this time to build for the future but enjoy it while it lasts. 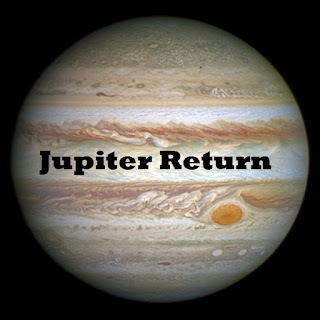 If Jupiter moves into retrograde during the return and crosses its natal position several times, these energies will last longer and will enhance opportunities each time it crosses this particular point in your chart. With retrograde cycles, there are usually three contacts if the retrograde cycle affects your chart. The first contact is usually the most powerful, so take advantage of the energies during this time in your life. Take advantage of these energies regardless if Jupiter goes retrograde or not.